It's been about a year since Wonderful Wooden Reasons was last visited by Mr Seatman and it's fun to see where his muse has taken him in that time. 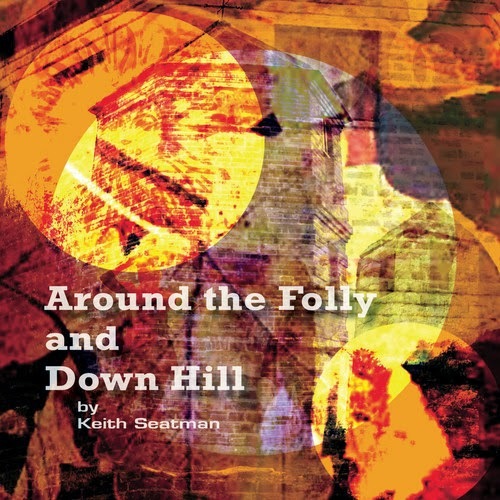 The playful psychedelia is still very much to the fore as is a sense of treditdation and disquiet here bolstered by some definite hauntological touches both musically and via the albums source of inspiration - games played near a folly on Pepperbox Hill in Wiltshire. The album's blithe, impish nature is utterly infectious and it's nicely sequenced to provide a definite sense of narrative to run throughout leading us to the albums deliciously creepy denouement on 'A Gathering of the Odd'. Keith has produced an album filled with life and joy, and a little trepidation just to keep things interesting, and it is heartily recommended. A very welcome return to Wonderful Wooden Reasons for our favourite Ohioan experimentalists HoP as they debut their new 5 piece lineup with the addition of a drummer and a keyboard player / circuit bender. Musically, Faust -particularly the Irmler version - is always going to be your reference point for where HoP are coming from as they produce eclectic, improvised, psychoactive tangles filled with sudden shifts and churning ambiences. The improvisations here are muscular, bordering on violent, punching their way off the CD and treating your woofers likes the dogs they are. What makes HoP so enjoyable for me is that they almost entirely avoid the showboating that can sometimes spoil improvised (and indeed all) music as they always feel as though they are listening and responding to each other and not just flailing. This sort of thing is never going to be to everyones taste but personally I love it and it is another fascinating step in the development of one of my favourite bands. 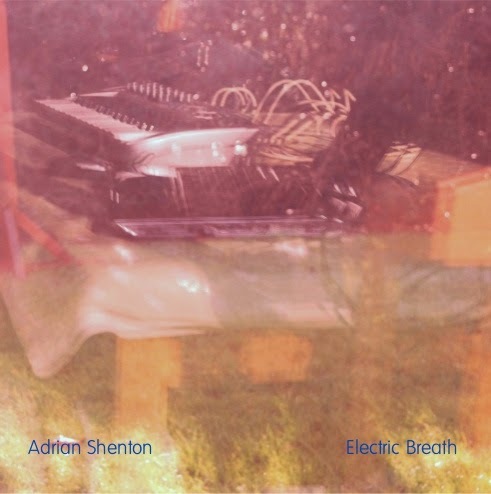 New four track album from Cardiff's Adrian Shenton recorded and improvised in January 2014. 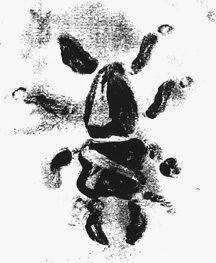 Using a battery of both the conventional (Kaoss Pad, effect pedals, contact mic) and the un (squeaky toy, tray, spring) he has produced a slow burning set of darkly ambient post-industrial drone pieces. Never in a rush Adrian allows each piece plenty of breathing space whilst he gradually adds textures and colours. The album moves through a variety of states as it opens in a relative optimistic state filled with the light of a new day before becoming increasingly, but gently, more convoluted and disquieting as it proceeds along. I've been enamoured of Adrian's sounds for a few years now and believe he's getting better and better with every release. This is a fine example of what he does and I heartily recommend you giving it a listen especially as it's available as a name your price digital release. Those of you who keep a regular eye on my witterings here at Wonderful Wooden Reasons will possibly have noticed that I am a bit of a fan of the work of New York's very own Mike Fazio who is the ever so lovely chap behind this here project (and also Orchestramaxfieldparrish). Under that other guise his music is a big and bold monolith of sound that towers over you, here, he's gone for a very different approach and incorporated delicate ambience, ticking rhythms, electronic flutters and flurries and occasional oneiric melodies. It's taken me quite a few plays to get my head into this little 2 track EP type thingy but in the end I think it was worth the effort. These two tracks are the results of a long term (and possibly overly complicated) collaboration from these two Ireland based sound artists. 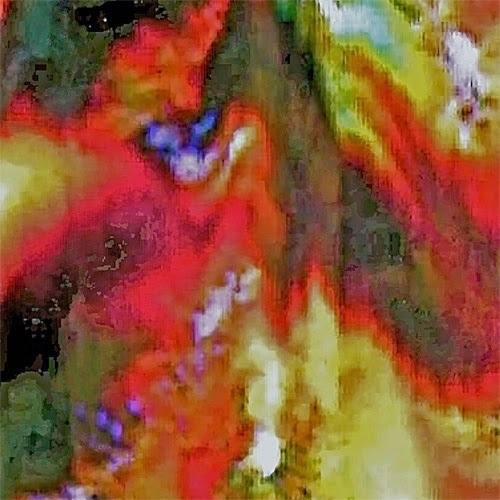 What we have is an aural collage that layers ephemeral sounds of everyday life (children's voices, a ping pong ball, background chatter) with sounds both amorphous and (if you'll excuse a crass term) deliberately musical. It does, for the most part, work similar territory to Steven Stapleton but, without the sense of fun and nonconformity that characterises his work they have produced a pretty cold and dispassionate pair of compositions that make for interesting if not particularly engaging listening. The Jay Stevens book, Storming Heaven, is one of my favourite reads but it is very US centric so when I spotted a copy of this in the window of a Glastonbury bookshop I felt an immediate need to read. It was a little disappointing. The writing is OK and the information interesting but there are blatant gaps in the narrative - not his fault as the records are blocked - which are frustrating and jarring and drag things down somewhat and after a while you start to wonder (possibly unfairly) if maybe he could have been a bit more rigorous in his research. 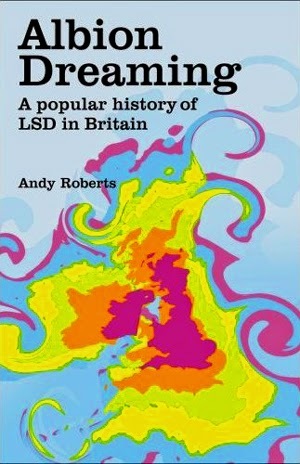 More frustratingly though is that Roberts is blatantly evangelical regarding LSD. I prefer my authors to maintain a short of scholarly distance and simply relate the facts. I can make up my own mind and don't particularly enjoy being preached at. That said though I still found much of interest here and it's definitely worth a read if it's your sort of subject matter. 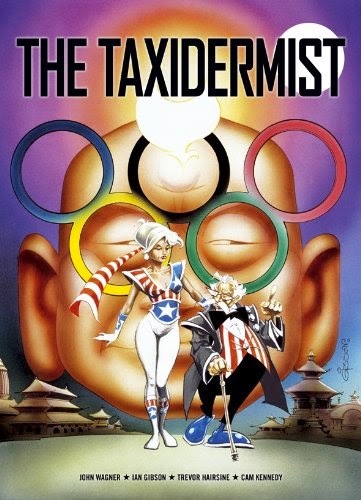 This is a collection of stories featuring one particular character from Dredd history; Jake Sardinia, Olympic taxidermist. It's a series of tales spanning many years of stories that sees Jake go from a very lucky stooge in a gangster story, through Olympic glory and finally to death and, kinda, beyond. It's fairly typical Dredd / 2000ad backup story fare. It's a fun bit of stupidity that was more than an entertaining way to pass some time but in truth nothing particularly essential for spectacular. 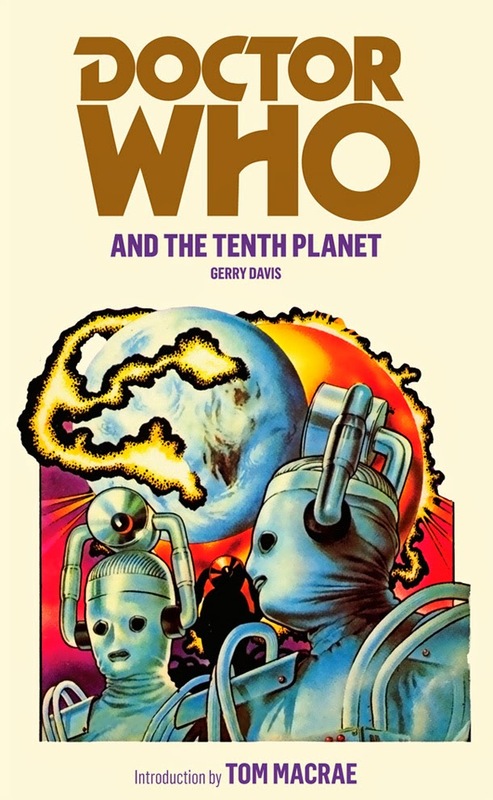 This is the first of the trilogy that formed the basis for the 1970s TV series 'The Changes' although this one barely featured in the TV show at all except for a vague similarity in terms of the ending. It's the sorry of two kids - Geoffrey and his little sister Sally - who are travelling through a Britain that is hostile, barbaric, superstitious and which has somehow regressed back to the middle ages in order to find the source of the problem. With the assistance of an ancient Rolls Royce and Geoff's (titular) weather magic the two plough their way across the country being attacked by wild boars, angry superstitious peasants and lightning whilst being pursued by a feudal lord and his pack of dogs. It's a little romp of a book and I'm really surprised it isn't better remembered although I wonder if the drugs at the end had a part in that. Personally though I thoroughly enjoyed and I am very pleased to have the other two installments here ready for reading. I've been saving this one for a time when I had a Who craving but not much time to spare. 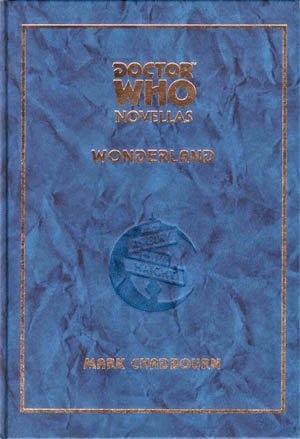 This is the last of the Telos Doctor Who novellas that I have here. They were, on the whole, a pretty enjoyable set of romps being a different, more adult, odd and creepy set of tales than is usually the case. Wonderland is a second Doctor story that fins him, along with Been & Polly wandering around San Francisco's Haight Ashbury at the height of its hippy fame. Two different things - which inevitably prove to be the same thing - are happening here. The Doctor is receiving strange visitations that detail former foes whilst a young hippy girl - our narrator - is searching, often with Ben & Polly's help, for her missing boyfriend. It's a little unfocused and the ending was both a bit sleazy and unsatisfying but Chadbourn has constructed a fairly interesting take that probably needed a lot more room and a little more development to tell properly. I read the first little book here, The Courtyard, a little while ago. It was an OK little Lovecraftian spin that really didn't go anywhere. Well now it's the prequel to a much longer piece wherein the FBI take notice of the devotees of old Howard's ideas and subsequently participate in the end of the world. 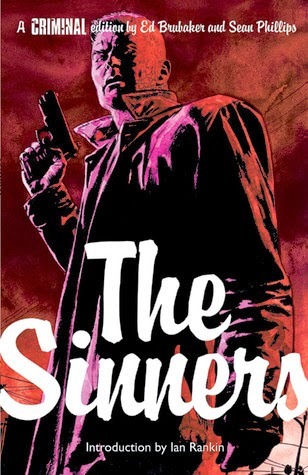 It's not Moore at his most deep and devious; it's more than a little pulp and the story is both salacious and unpleasant. I'm not a Lovecraftian - I will give him a go one day - and so bits of this were lost on me but it wasn't a bad read. 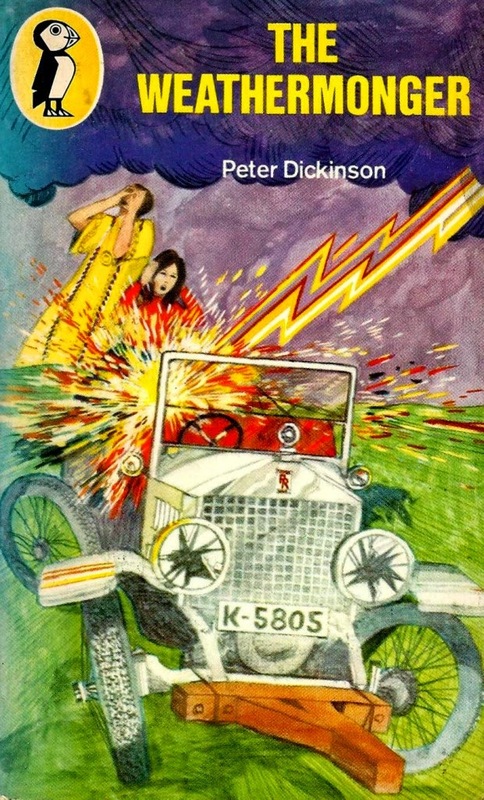 A reprinted adaption of a Target novelisation of the third Doctors first encounter with the pepper pots. 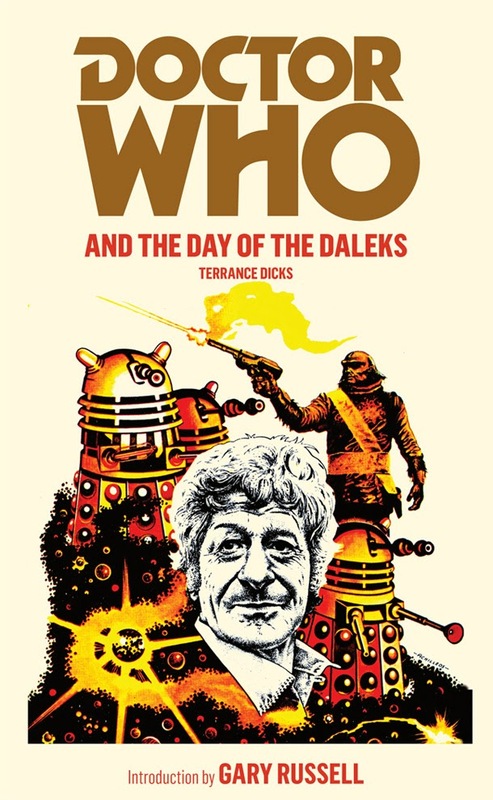 It's a cool little read that romped along at a frantic pace which is pretty much the exact opposite of how these old Pertwee episodes actually were with the story dragged out over 6 or so episodes. Here the Doctor and Jo are brought in to investigate mysterious attacks on a peace envoy which turns out to be a guerrilla fighter from a Dalek controlled future attempting to change the past. The Doctor is surprisingly passive throughout south only occasional burst of martial arts. I liked this. It took about an hour to read and was monumentally daft but it was a lot of fun. This has been a very fine series indeed and this episode doesn't change that fact. This volume is a return to the story of Tracy Lawless the AWOL soldier from the second volume. Here he is working for mob boss Sebastian Hyde as an increasingly unreliable hitman until he finds himself tasked with looking into who is knocking off bad guys all around town. This, and other certain entanglements, along with an agent from the military bent on taking him back means that he finds himself in all manner of hot water. Machen has been hovering around my attention for a long time now but as I've been so busy I didn't think I had the head space for him. Recently a gap in my schedule decided for me though that the time was right and what a treat it turned out to be. Now, I realised long ago that my heart was in the pulps but I do like to occasionally stray into other waters as the tides takes me and of late I've been thoroughly enjoying some older work whist taking the opportunities afforded me by both free time and good weather for some outdoor reading. There are moments of sublime beauty here, particularly the little title piece which is a perfect realisation of , entirely fictitious, Welsh folktales as filtered through the diary of a young girl who may or may not be experiencing the world they report first hand. Alongside this are several stories relating similar sorts of Welsh related folkloric horror and some, for me less successful, World War One inspired tales. 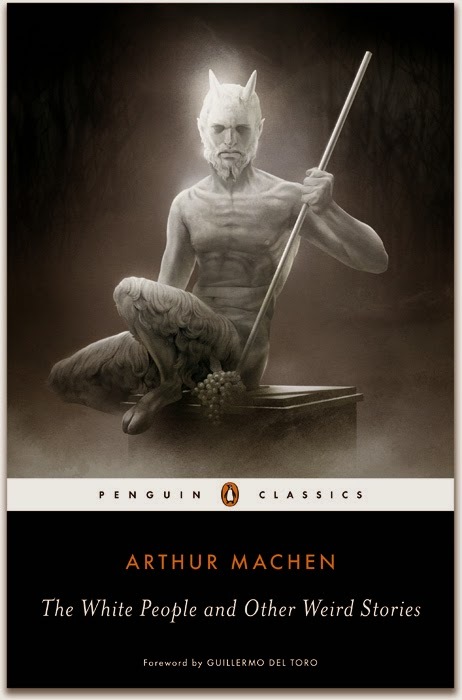 Machen was obviously a devotee of the stories of his childhood but he was obviously not afraid of bringing these tales up to date as he does on The Terror. Truthfully though, this was the story I found least satisfying. What let things down though (particularly on The Terror) were the notes by S.T. Joshi. Machen uses Welsh place names throughout which Joshi seems committed to attributing to actual places. Now, I grew up near (and still live close to) many of the places he claims are the ones mentioned and they just do not fit the descriptions given in the stories. For instance, Llantrisant which, in 'The Great Return' Machen describes as 'the little town by the sea [...]' is certainly not the one Joshi claims it to be due to the simple fact that it is nowhere near the sea. Indeed the nearest sea to the town is on the other side of Cardiff (Wales' capital city). This was only one of several claims that drove me to distraction but equally it must be said that there were many notes that I found both interesting and essential. The notes aside though this was a wonderful and resonant read for me as a Welsh man reading these tales sat under a tree on the Welsh coast. 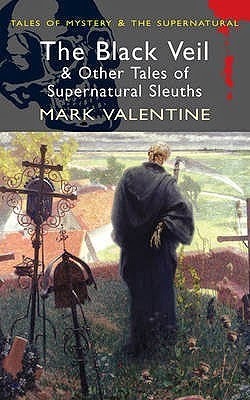 This is a pretty nifty little compilation of stories featuring detectives of the paranormal and the occult such as Thomas Carnacki and Valentine's own Connoisseur. The selection has been put together by the very lovely Mark Valentine of Tartarus Press and features some really wonderful tales alongside a couple of duffers. There are moments here that had me rapt; the aforementioned Carnacki, Ray Russell's tale of Clockwork revenge gone wrong, Rosalie Parkers gorgeously frustrating haunted house tale, Mark's own Machen-esque tale of folklore and obligation and Vernon Knowles' beautifully sad and odd tale of Basil Thorpenden. Other tales moved me not at all - Donald Campbell's tale 'The Necromancer' was particularly woeful - but on the whole this was an eminently readable selection that provides a deliciously enticing intro to this most interesting niche genre. The BBC have started reissuing the old Target novelisations of the old Doctor shows. This is the first of a few I picked up cheaply recently. As is always the case with these Target books the writing is pretty poor and they are a very simplistic sort of beast due to their target (sorry) audience. They are a bit of nostalgic fun though. Kaze make the direction of this their second release amply clear within a couple of seconds as the lazy opening is rent by a piercing and unexpected scream. The flurry of sound and energy that follows however is not entirely symptomatic of the rest of the album - although it does reappear - as they seem very open to new textures and directions. This quartet of pianist Satoko Fujii, trumpeters Natsuki Tamura and Christian Pruvost and drummer Peter Orins wander through some very interesting vistas over the five tracks. From cascading caterwauls to trepiditious noir via delicate soundscaping to musical torrents again. It's both exhausting and exhilarating and as such it's immense fun to grab onto the side and go along for the ride. 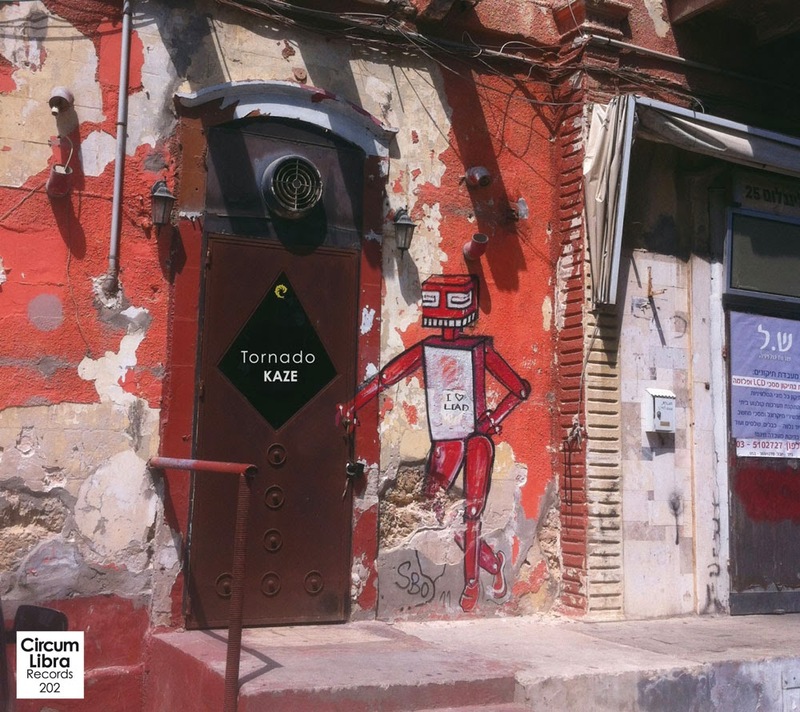 A new entry into the Gruenrekorder Soundspace series and another very interesting and evocative experience of re-contextualised sounds. I am glad that I listened to this a few times before I opened the booklet. I'm a fairly simple soul at heart and I'm not a huge fan of over-intellectualising music or of tagging cumbersome philosophies or explanations onto things. I just like the sounds. I'm not saying that any of those things are in any bad or wrong, I'm just saying I dislike them. Having now read the booklet that accompanies this album I suspect the composer would disagree with me as each track has been explained and analysed to within an inch of their lives with some quite cringeworthy text which to my mind destroys any mystique or even the art within the composition reducing it to a chemistry experiment or a cooking recipe. If you'll forgive me the conceit of continuing with that latter analogy though, musically, this is a very fine dish filled with varied flavours and textures that are revealed with each bite. Prepared with ingredients that for the most part feel fresh and well sourced and the overall feeling of satisfaction upon completion is delightful. Just, whatever you do, don't ask the chef for the recipe. I've had a real soft spot for the music of Jim DeJong and his restless and jittery approach to composition. His music is filled with a constant sense of propulsion as he uses rhythms in ways which others have seemingly not yet noticed. Married to this is his grasp of the fundamentals of a damn fine drone that can both hover and also insinuate itself into the cracks in your attention span until it establishes itself at the absolute epicentre of your awareness. But at the core of his music is a powerfully industrialised ambience that permeates through and gives the whole an addictively gritty quality. This tiny little EP is, it seems, Jim's final word and he has chosen this opportunity to ride off into the sunset. I wish you well Jim and hope that whatever project you point yourself at next brings you joy. 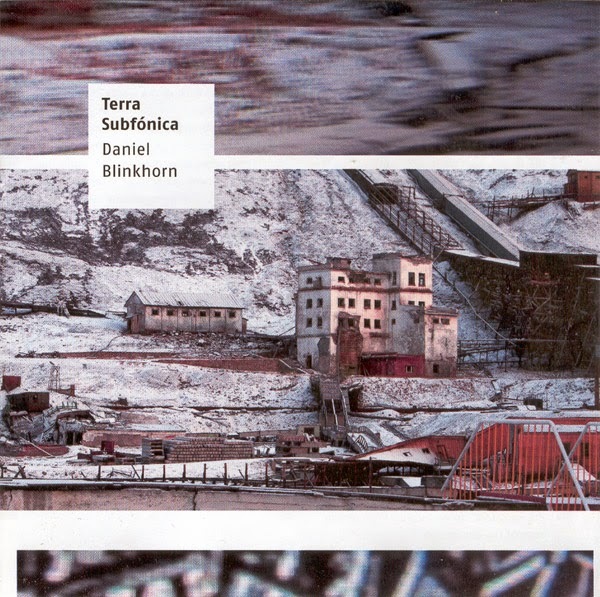 The folks at Intangible Cat have been sending some interesting music my way for a little while now and this one is no exception although it is a little different to those others. 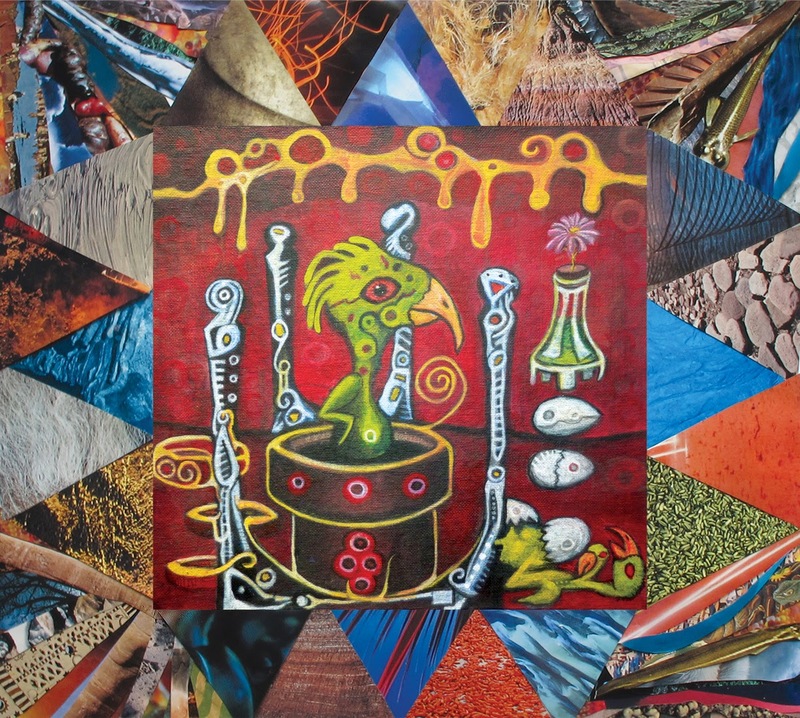 What we have here is an altogether more melodic and decidedly psychedelic beast that the previous experimentalisms. With hints of krautrock, San Franciscan psyche and the crusty space dub excursions of folks such as Ozric Tentacles it makes for a fascinating listen as it wanders along its merry way . It's been a while since I've really delved into this type of thing although back in the early nineties when I was considerably more chemically assisted than I am now I loved me some trippy, bouncy music and this is bringing back some nice memories. It's really well done, has just the right balance of restless energy and swirly mesmerics and is filled with colour and wonder. Hello. It's the beginning of April and I've finally got enough of a gap in my busy to stop for two minutes and say hi and explain what's going on with Quiet World and Wonderful Wooden Reasons. Since Xmas I've been frankly absurdly busy chasing my tail around the seemingly never ending piles of grading and admin work thrown up by my day job (college lecturer) whilst also suffering a bit of a relapse of some health issues I had a few years back. As I'm sure is the case with many of you being able to pay the bills takes precedence over everything else and so, with the exception of a couple of weeks where it was just to difficult to get out of bed I stuck my head into my workload and kept it there. This meant of course that other things had to, temporarily, fall by the way side. Namely QW & WWR. Neither of them are gone though, far from it in fact. In a couple of weeks time there will be a new release on QW from Scottish musician Andrew Paine. Whenever possible I have been scribbling done some notes for what I've been listening to and there are a few half written reviews sitting in my notebook that I will try and kick into shape over the next few days and get them online. My apologies to you all for the lack of updates and info but I haven't had much opportunity to stop by and post and on the rare occasion when I had time I didn't have the inclination and usually opted for either eating or sleeping. I'm odd like that. Anyway, the workload has lightened a little for the next couple of weeks at least and whilst I'm not feeling 100% I am certainly feeling better so I'm hoping to take the opportunity to get some stuff done. Peace and love to you all and I'll be back in a day or two with some postings.